Ben, or Buff Ben as he’s been referring to himself lately (he’s truly been inspired by the “Rocky” theme of this year’s Forum; grey sweat suit, headband, white towel, triumphant pose and all!) is a relatively new member of NIGP. A young professional, who’s also new to the procurement profession, Ben attended his first NIGP Forum last year in Orlando. Ben credits that experience for giving him a sense of purpose and direction with his career. From the amazing keynote speakers, workshop sessions, and networking opportunities, he learned so much and took home many new skills, tips and tricks to help him improve, not only his understanding of the procurement field, but also the process at his agency. This year Ben’s coming back for more… and can’t wait to see all his friends from Orlando… and meet new ones this year! 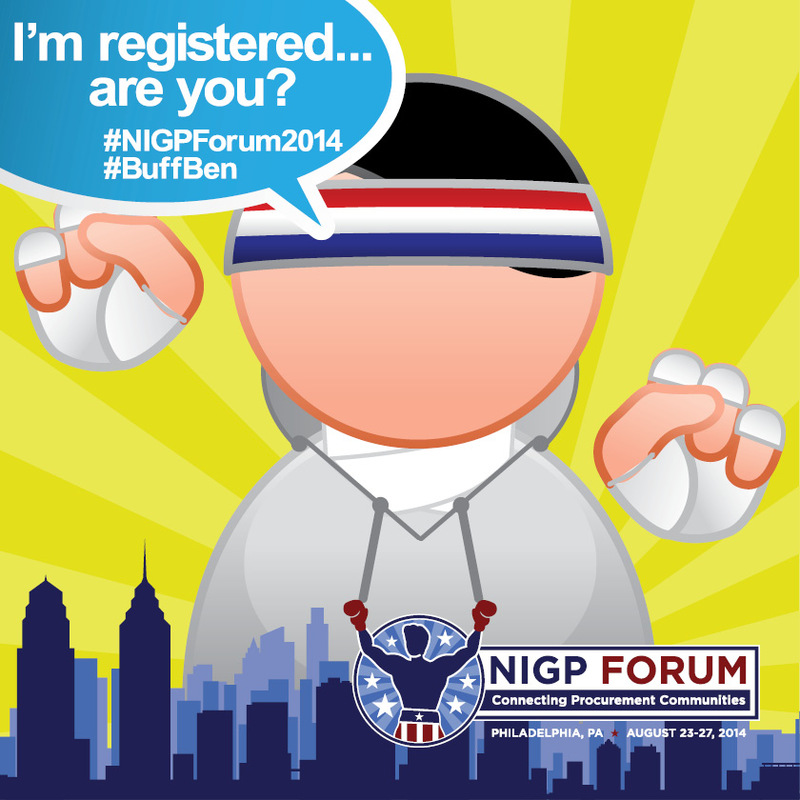 If you see him… be sure to get your picture taken with him and post your photos on social media with the hashtags #NIGPForum2014 and #BuffBen!